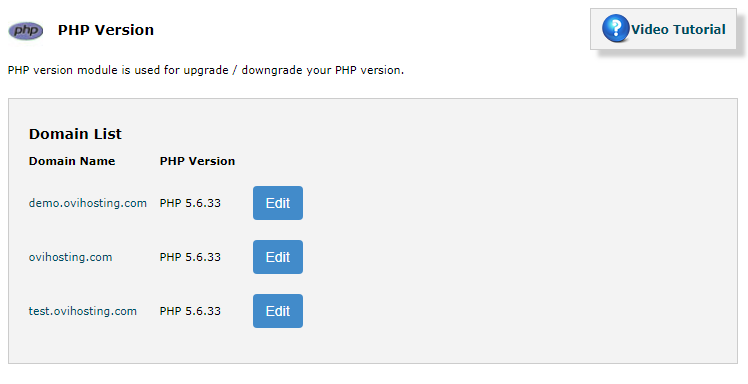 You can edit the PHP version. This cannot be used by admin as it enabled it is there in WHM OVIPanel. The users can login to there OVIPanel and use the option. PHP is a general-purpose scripting language that is especially suited to server-side web development, in which case PHP generally runs on a web hosting server. 3. All the Sub Domain which you have created will be available in it. You want to add a new domain to it than you should create a new sub domain for it. 6. Enter on save option to save. 7. Enter on Cancel to cancel the version change. 8. You can also watch the video for how to change the PHP Version. Secured Dedicated Server is best for the websites which are big to save guard the files and documents. Any PHP code in a requested file is executed by the PHP runtime, it is normally used for creating the dynamic web page content or dynamic images used for websites or any other places.